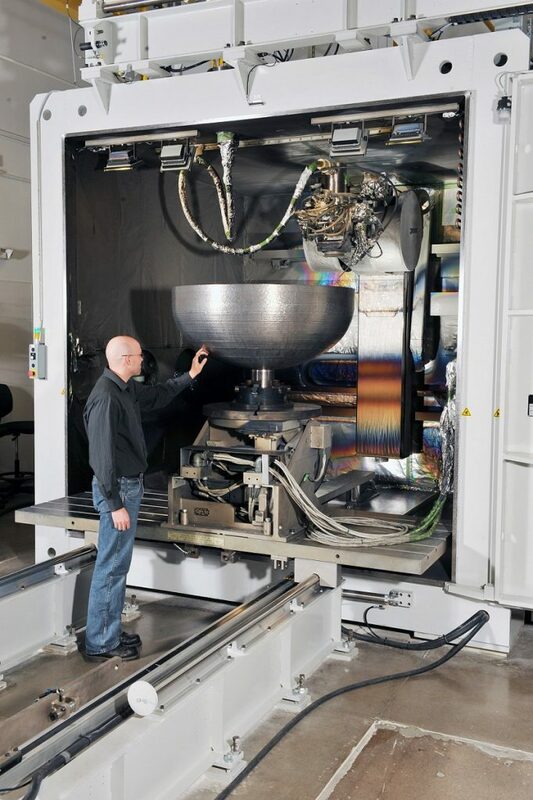 Lockheed Martin, the American global aerospace, defense, security and advanced technologies company recently 3D printed a giant titanium dome for its satellite fuel tanks. The huge dome has a record 46 inch (116 centimeters) diameter. 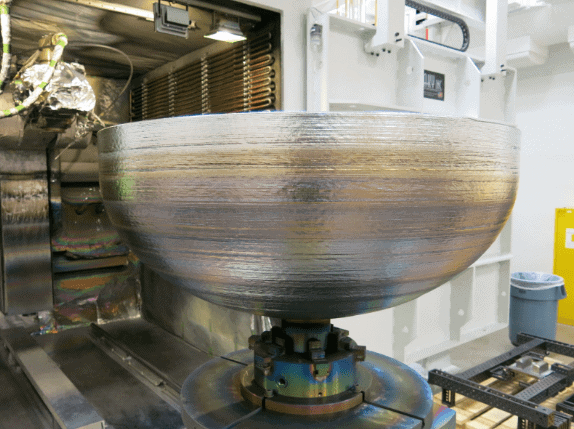 The 3D printed dome completed final rounds of quality testing this month, putting an end to a multi-year development program to create high-pressure tanks to carry fuel on board satellites. 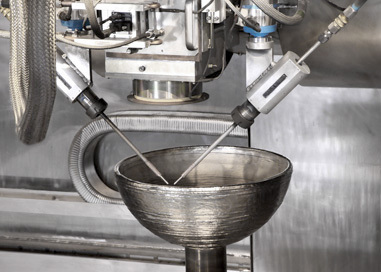 The Engineers used Electron Beam Additive Manufacturing® to print the fuel tank parts at Lockheed Martin facility in Denver. The dome is made up of three parts welded together to form the complete fuel tank. Of the three parts, two parts are 3D printed in titanium which forms the cap of the tank and the third part is a traditionally manufactured titanium cylinder which forms the body. 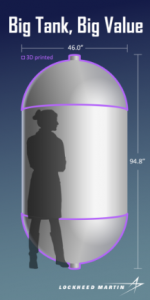 Satellite fuel tanks must be lightweight so it uses less fuel to send t to space, and must be strong in order to withstand the stress and rigors of launch and decade-long exposure to the vacuum of space. This makes titanium the ideal material to use in such constraints. But procuring 4-foot-diameter, 4-inch-thick titanium forgings can take up to a year or more. This makes the whole process challenging and highly expensive. Traditional manufacturing methods also led to 80% waste and this made the process unfeasible. But now with 3D printing, the waste can be almost eliminated, titanium is already used in 3D printing and the process is comparatively cheaper and is a lot faster than any other method. This makes 3D printing the perfect fit for manufacturing such huge parts. Even a small leak or flaw in the part can lead to catastrophic consequences for the satellite. So, the designing and manufacturing process was carefully carried out to ensure that the 3D printed tanks met or exceed the performance and reliability required by NASA. Lockheed Martin engineers and technicians rigorously evaluated the structure, conducting a full suite of tests to demonstrate high tolerances and repeatability. Lockheed Martin first 3D printed and sent parts into deep space aboard NASA’s Juno spacecraft. Since then it has printed thousands of components for space vehicles and even more for tooling and prototyping. This recent accomplishment is a step in the same direction. Lockheed Martin now offers the tank as a standard product option for LM 2100 satellite buses.